The dearly departed Bis.co.latte in Hell’s Kitchen. One of the sad moments in the work of a food reviewer is finding out that a place you love has closed. Shortly after we moved from our apartment in Hell’s Kitchen, our go-to spot for soup and biscotti, the Bis.co.latte Café went out of business. Holly and Antone made a valiant effort to stay in business, documented in this piece, but the landlord would not budge on the rent. It was hard not to think that our move across town played a role, but in fact, larger forces than us had depressed business — notably the opening of another gourmet coffee shop around the corner and the upscale food court Gotham West a block away. (Less than a year later, the soup place in Gotham West, a competitor to Bis.co.latte, closed.) 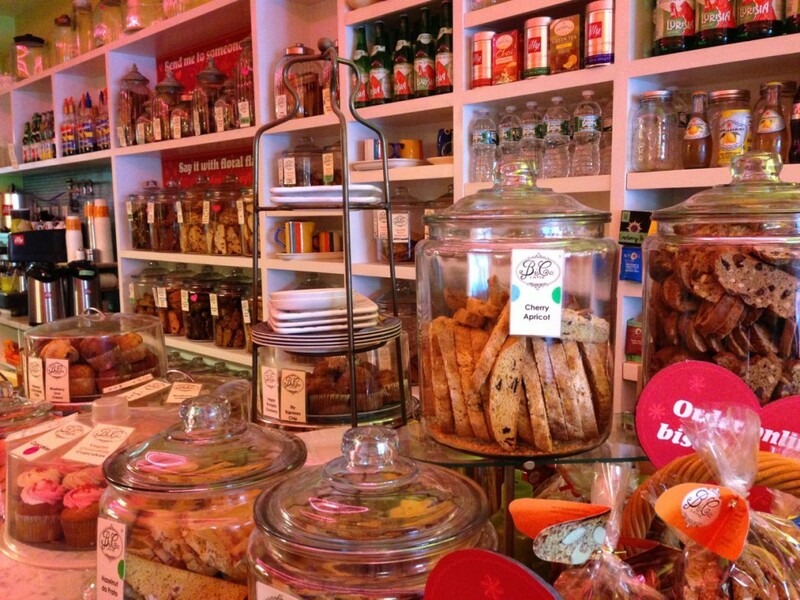 Richard and I continue to enjoy the biscotti, which we consider the best we’ve ever had, because Holly continues to supply cafés and restaurants throughout Manhattan. But whenever we’re in that neighborhood, which is fairly often because of the many theaters there, we miss our home away from home on Tenth Avenue just south of W. 47th St. The dearly departed A.B. 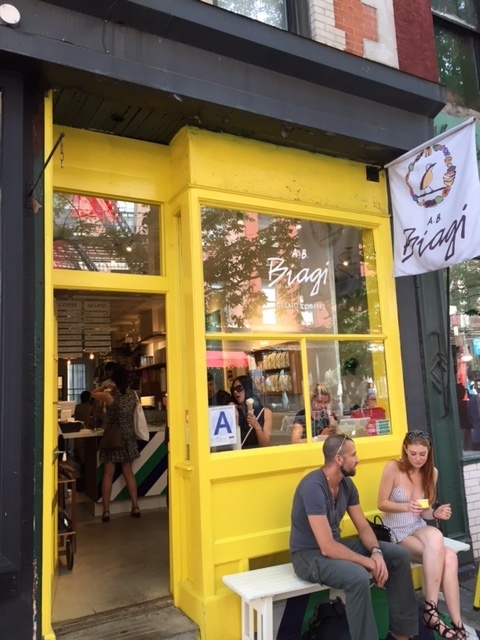 Biagi in NoLita. Richard and I also update our restaurant reviews in Lisbon with tales of the dearly departed eateries we loved but are no more. No matter where one lives, the restaurant business is a tough one, with long days, few if any vacations, and vulnerability to economic crises, rent increases, and competition. For me as a writer (though not for my husband, the foodie), dearly departed small presses are just as tragic. In fact, it was one of those, Jolly Fish Press, that inspired this piece. 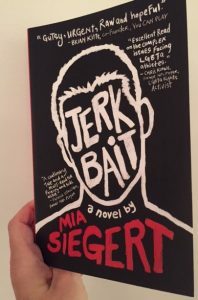 I didn’t know the work of Jolly Fish personally until I heard from author Mia Siegert that her publisher would be closing at the end of October 2016. She wanted to know how this would affect the availability of her book and any awards for which she may be considered. I tried to reassure her, having been in a similar situation with Gringolandia after Curbstone Press’s closing and sale to Northwestern University Press, as my book continued to be available and went on to win awards. I immediately ordered her book, Jerkbait, because it sounded interesting. It arrived today, and I can already say that it deserves the acclaim which it has received. I’m planning a review for The Pirate Tree when I’m done and will let people know in the review how they can get the book. After placing my order, I went to the Jolly Fish website and saw the beautiful middle grade and young adult books that they had published over the past four years — mostly fantasy and science fiction but also contemporary stories like Jerkbait, which explores the relationship between twin brothers when one of them attempts suicide and comes out as gay. According to the publisher’s official announcement, “we have not generated sufficient revenues to make the business viable,” and additional investors did not materialize. I realized what a huge loss this is, not only for the authors, the staff, and the idealistic founders of the company, but also for the YA publishing ecosystem. In comparison to small press publishers of adult literary titles, picture books, and children’s books across age groups, YA small presses seem to struggle. In theory, this shouldn’t be the case. Picture books are more expensive to produce and more dependent on the support of schools and libraries, which for decades have suffered budget cuts. Adult literary fiction typically sells to a niche readership, and as I’ve seen at both the AWP conference and the Brooklyn Book Festival, there’s a lot of competition. In the past decade YA sales have grown, while adult sales have fallen, as more adult readers choose books with teenage protagonists. I have some ideas for why small presses have struggled with YA, and potential solutions, but I’d like to get the thoughts of others — those who have worked for small presses, authors published by small presses, those who read small press books, teachers and librarians, and people with experience in the business world. Please leave your comments, and we’ll continue this discussion. It’s always sad to see young businesses with wonderful visions and products lose the struggle. I wish I had the answer for them. There’s some discussion now in New York City about offering tax advantages to locally owned businesses. The problem in most places is that the large corporations are the ones that have enjoyed tax abatements and other advantages not available to small, locally owned businesses. I did see where Jolly Fish Press received support from a small business incubator in Utah, but most small businesses need five years to get on their feet, and this one didn’t quite make it to the five-year mark. So true, Lyn :(. A good post, as usual–and that comment on 10/21 is quite important. Thank you! I was at the Bank Street BookFest yesterday, and while the focus was on picture books and graphic novels, I talked with several other attendees about the problems the YA small presses are facing. 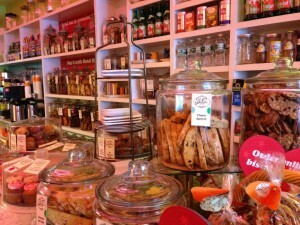 What a bummer about your favorite food places and Jolly Fish Press! I love that small presses give good authors a chance to get their books out. I just wish they reaped the benefits more. I do too. In theory, the small presses should do better because they’re often not in NYC, an expensive real estate market, and they have much lower overhead. I’d like to hear from some of the people involved, say with Jolly Fish, to know what their biggest challenges were. As a small press author and former journal editor, I know getting taken seriously by trade reviewers is a growing problem because they can’t review everything. Nor can they give everything a good review. There’s always the question, “If it’s so good why wasn’t it published by [Big 5 or medium-sized publisher with a long history and reputation for quality].